Whimsical and a little bit magical the Chinoiserie Panel Wallpaper Mural is a nod to classical Chinese wallpaper styles. A gorgeous wall mural with dark and dramatic colours the Chinoiserie style wall mural features a dark charcoal backdrop with classically styled faux panelling and aged patina detailing. 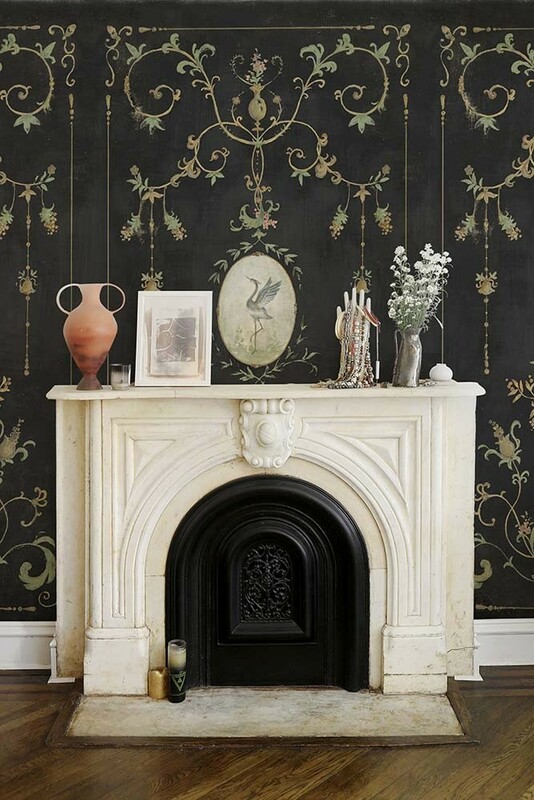 A stunning digital print wallpaper mural, the Coal Black Chinoiserie style mural measures 2.8m in height x 4m in width and is printed onto non-woven back paper. Please note, this wall mural has a 2-3 week delivery time. 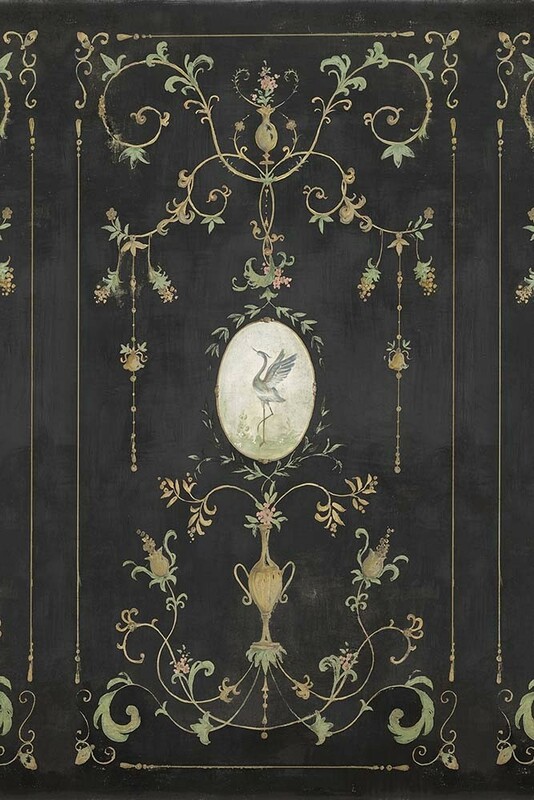 But, the reason why we think that you will particularly love this dark classical panelling wallpaper is because of the sense of tradition, history and elegance it will bring into your home. Traditional style wallpapers like this ground modern looks and help to inject a timeless quality into your interior design.